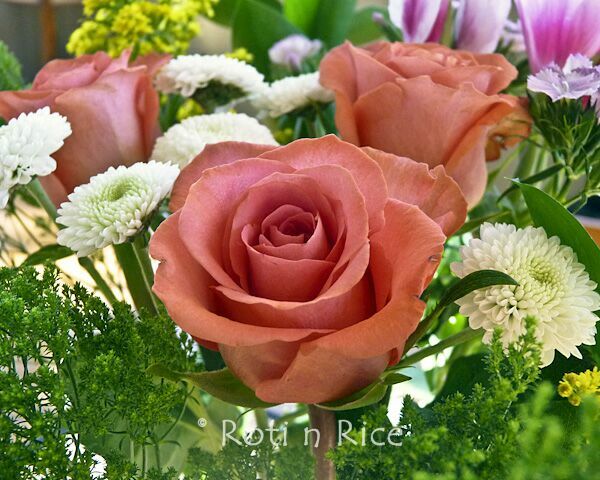 Today I am doing a guest post for Mary Moh over at her wonderful blog Keep Learning Keep Smiling. Mary is one of the first visitors to my blog. She constantly leaves comments and continues to be a great encouragement to me. 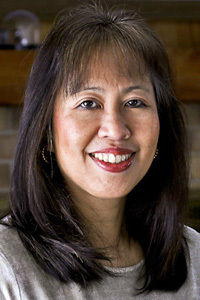 Her warm personality shines through her blog where she posts delicious homecooked meals shared with family and friends. If you are lost in Scotland, Mary’s home is the warm hearth you would want to get to. When Mary asked me to do a guest post for her for Mother’s Day, I was very touched and honored to be given this opportunity. I was also very excited as this will be my first guest post. I thought for a few days about what I would share and finally came up with this Happy Healthy Brunch that is quite lovely, yet simple enough for kids to prepare. 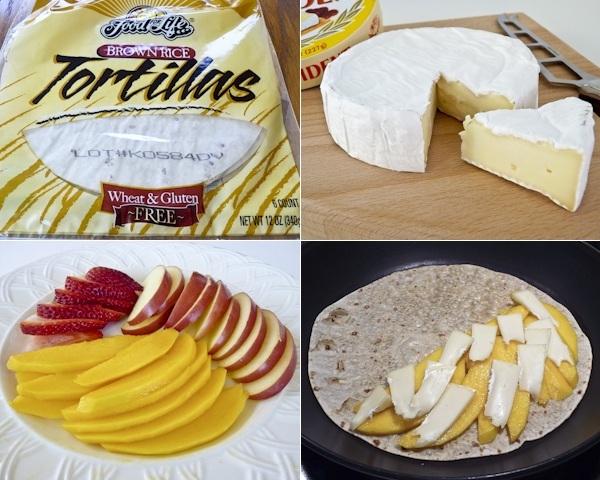 Here are the ingredients I used for the Gluten-Free Mango, Strawberry, and Brie Quesadillas. 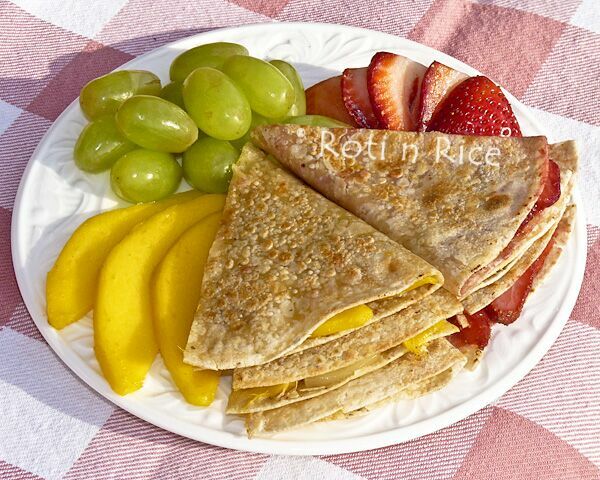 We love those brown rice tortillas. They are the best!